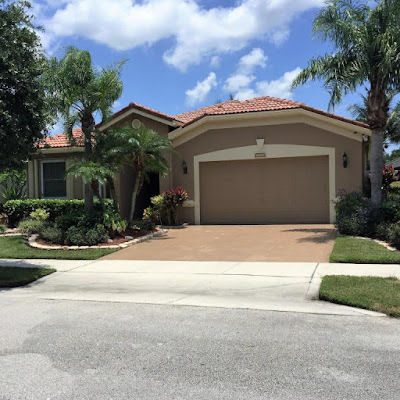 Broward Real Estate: Beautiful Coconut Creek Home On The Market! You will love this meticulously well maintained home located in the beautiful twenty four hour gated community of Regency Lakes, Swans Landing in the sun soaked city of Coconut Creek. The flooring throughout the home a tasteful mix of high end wood and carpet. The house is fully equipped with hurricane shutters and high impact resistant windows. The chef's dream kitchen has been fully upgraded with sleek granite counter tops, a full suite of stainless steel appliances and a new microwave. The open concept kitchen and family room provides ample space for entertaining. Security camera's all around and a programmable to television for added security. Tank less water heater which is heated by propane for lower electric bills. two master walk in closets in the master bedroom. The master bathroom boasts double vanity cabinets. The house is under motion activated flood lights. The bathrooms have been totally upgraded. The soaring vaulted ceilings throughout give the home an open and airy feel. This home is located on a quiet canal, with fruits trees in back. designer high end washer and dryer are in a separate laundry room. Must see to appreciate the love and care put into this well appointed home. This Regency Lakes Home offers a pool, tennis courts, bike and jogging paths, clubhouse, basketball courts and an exercise room. 6020 Swans Way located in Coconut Creek and is currently asking $382,500.00.